After the runaway success of RiRi’s debut collection for River Island, we couldn’t wait to see the next installment – and we weren’t disappointed. A limited number of special edition pieces are available to buy now, with the rest of the collection arriving on Thursday 12th September. Expect plenty of leather, camo and nineties references, and sharpen your elbows – these pieces are going to fly off the rails. With only 100 of these perforated leather-panelled sweats in existence, snap one up now – it also comes in go-with-everything black. 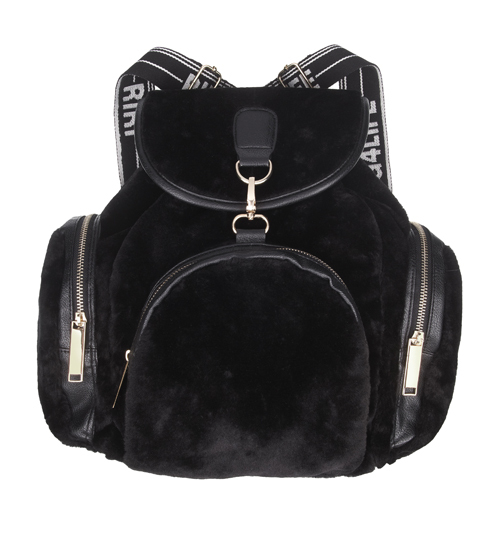 This nineties-tastic fur backpack is possibly our new favourite thing ever. Girl-of-the-moment and Rihanna’s BFF Cara Delevingne has already been spotted out and about in this little number. The onesie isn’t going anywhere. RiRi has been papped wearing her camo design unzipped to the navel – bare if you dare. This mirrored monochrome print also features on leggings and an oversized tee dress – we love this bodycon beauty. 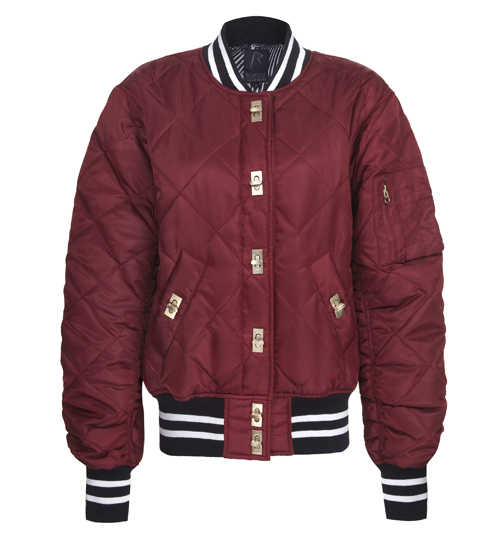 What do you think of Rihanna’s latest collection – will you be buying? Let us know below, and send us your snaps of you wearing yours!